The Encinal Terminals project was originally scheduled for approval at the October 17 city council meeting. However, it has been postponed. It’s time to plan ahead. 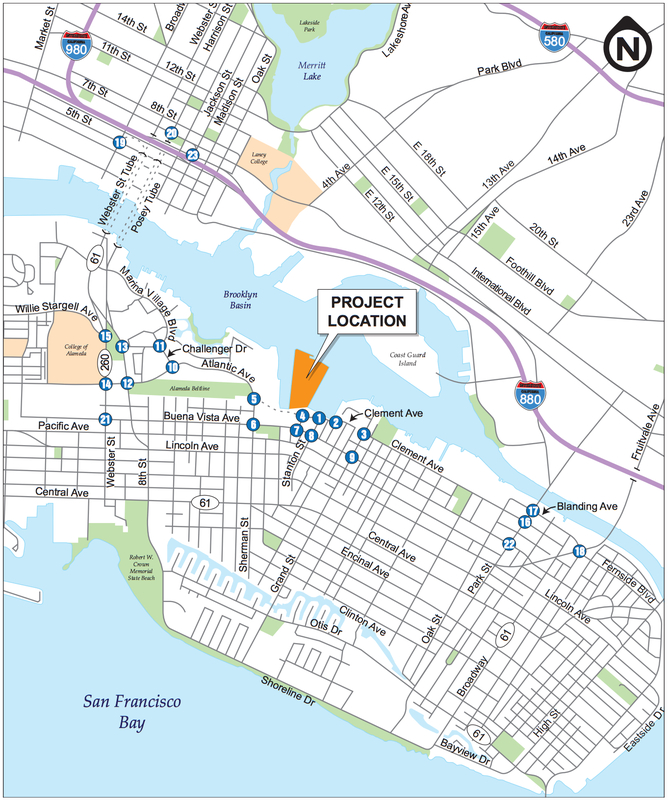 The current residential and commercial development proposal for the Encinal Terminals on Alameda’s Northern Waterfront includes public tidelands that were mapped out when the area was an undeveloped marsh. In order for the project to proceed the State of California and the developer would need to exchange land. The Sierra Club opposes the project because this tidelands exchange will not produce living shoreline adaptation features called for today in response to climate change. The project also leaves our public land with the short end of the stick. The exchange would designate new tideland boundaries mostly in the water around the perimeter and a small tidelands strip through the middle of the site, thus clearing the way for the proposed residential footprint. In other words, the developer gets the valuable real estate, and the state mainly gets water and a wharf structure that requires ongoing maintenance. Furthermore, the water around the site currently owned by the developer does not need special tidelands protection in order to create the proposed waterfront promenade, park, and marina. The developer has pointed out that the exchange would yield a net gain of a few acres for the state and that the new shoreline public access would fulfill a major goal of the San Francisco Bay Plan. True enough. But the world has changed since the Bay Plan was developed a half-century ago. The Bay Conservation and Development Commission (BCDC), which administers the Bay Plan, is in the process of creating new policies that encourage resilient shoreline design. It is no longer simply a matter of getting people to the shoreline, it is also about the role of the shoreline in adapting to climate change. The current proposal meets yesterday’s shoreline goals, but falls short on tomorrow’s. A recent BCDC report pointed out that current efforts to stave off loss of marshland around the Bay will begin to lose ground within 30 years due to sea level rise. The regional agency is hoping to encourage new, cutting edge planning efforts that seek to address habitat loss. What better way to acknowledge the need to be proactive than to build natural habitat into the Encinal Terminals Project? The developer’s representative, Mike O’Hara, recently explained to the Sierra Club that removing the tidelands exchange would not prevent the construction of new housing, commercial properties, and shoreline amenities. It would just return reconfigured without housing on the tidelands. But any uses on tidelands would have to be public trust uses. Lands subject to the public trust should be protected as open space for public use and enjoyment and/or climate change adaptation and not used to enrich a private developer at public expense. In the near future, the city council will decide whether to approve the master plan and development agreement or send it back to the drawing board. The city, as trustee for the state tidelands, and eventually the State of California would have to approve the exchange of public land. The Sierra Club’s primary responsibility in public land exchanges is to promote the protection and restoration of biological and ecological values. The Encinal Terminals project offers an opportunity to integrate new environmentally superior landscaping features that acknowledge the importance of climate change adaptation. The Sierra Club urges the city council to send this project back to the Planning Board without the land exchange. Norman La Force is the Chair of the Sierra Club’s East Bay Public Lands Committee and a member of the Chapter’s Executive Committee. This entry was posted in Environment and tagged Alameda, Encinal Terminals, Public Trust, Sierra Club, Star Harbor, tidelands, Tim Lewis Communities. Bookmark the permalink.